I’ve had Autumn for five years now. 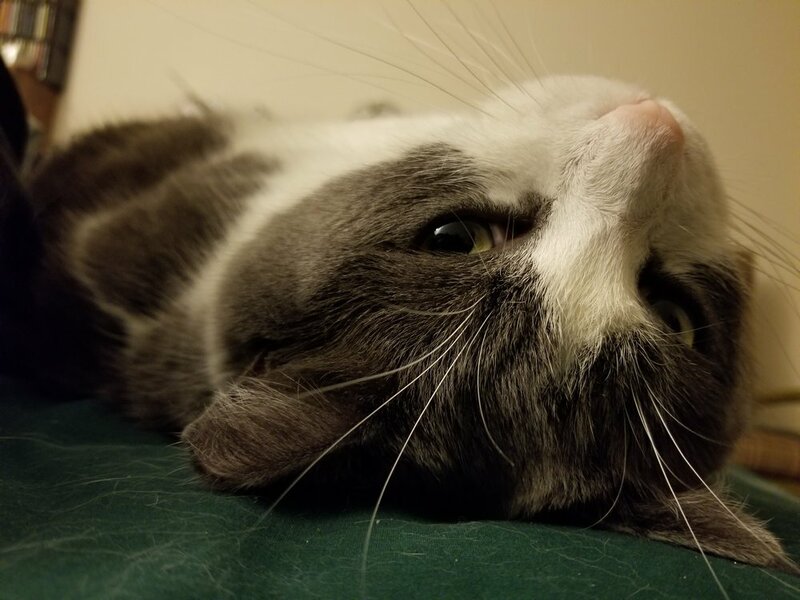 She was a feral cat that the Miramichi SPCA was originally going to put in the barn buddies program, but ended up comfortable enough around humans to be domesticated. She still lived at the shelter well over a year by the time I got her, and hid behind the bed for the first week she lived with me. Eventually she got brave enough to come out into the rest of the apartment, and regularly comes to greet me at the door when I come home from work every day. 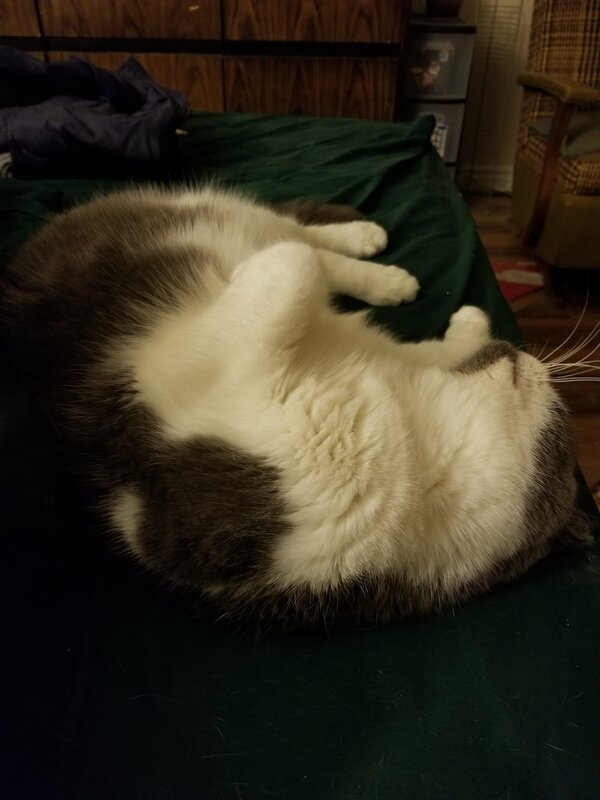 She’s still pretty skittish around people she doesn’t know, but she trusts me enough to show me her belly, and she really turns up the cute on work day mornings when I’m getting dressed to leave the apartment. Occasionally, she’ll lay across my laptop keyboard while I’m trying to work. I’ve grown up with cats in the household pretty much all my life; before Autumn, I was especially close to Natalie (who lived with my family over 18 years until she died two years ago) and Daffodil (one of my younger sister’s cats, who currently lives with her in Fredericton), but Autumn is the first cat I’ve had since moving out on my own. I’m glad I’m able to give this sweet cat a well-deserved forever home. I do sometimes wonder if she gets a little too lonely being in the apartment by herself all day while I’m at work. When she was at the shelter, she did alright with the other cats: she didn’t mind them crawling over her or even fighting with each other on top of her. I think she’s been spoiled by the last five years of having no competition for my undivided attention, though.